Imperial Hotel, Osaka, Japan. Photo: Kosuke Arakawa. Image©www.thingstodot.com. After traveling in Japan for almost two weeks lugging my heavy suitcases with me and staying at budget Airbnb homes, I decided to spend the last few days of my trip at the Imperial Hotel in Osaka, one of the world's leading luxury hotels. Osaka was also my final stop in Japan before I flew out from the Kansai International Airport. Tired and exhausted, I arrived at the Shin-Osaka Station in Osaka at 11:00 p.m. with the Shinkansen (high-speed bullet train) from Tokyo Station. The same day I had traveled from Fuji to Tokyo and had spent 5 hours at Shinjuku in Tokyo exchanging my old DSLR camera for a new one. By the time I reached Osaka, my back was breaking and I was ready to drop! To add to my fatigue, my cab driver at the Osaka Station did not speak any English and kept pressing me in Japanese with questions regarding the location of the hotel. It was almost midnight when I finally arrived at the hotel where an English speaking bellboy greeted me warmly and took care of my luggage. I didn't know if I was more grateful for the English speaking bellboy or having finally arrived at the gorgeous hotel! The front desk checked me into a Superior room with a view of the river. I was delighted with the luxurious room that boasted a comfortable King size bed, a fancy en-suite, automatic drapes and in-room audio with a huge selection of music from Mozart to Beethoven, that I could play from my bedside table. I immediately ordered room service and went in for a long shower. Next morning, I enjoyed a late breakfast in my room while taking in the magnificent views of the river and Osaka city. The hotel also has an elegant fitness center and a swimming pool that can be used for a fee. I strongly recommend a 90 minute Shiatsu massage that heals the body of fatigue by working the tension and spasms out of the muscles. Imperial Hotel, Osaka, Japan, in-room breakfast. Photo: Gunjan Virk. Image©www.thingstodot.com. There are numerous dining options at the hotel with speciality restaurants serving French, Chinese and Japanese cuisines and an all day dining option at the Café Couvert. A sumptuous afternoon tea with a delicious array of desserts is served at the hotel's buffet and lounge called The Park. The original Imperial Hotel in Tokyo was designed by Frank Lloyd Wright, one of the most respected architects of the 20th century. 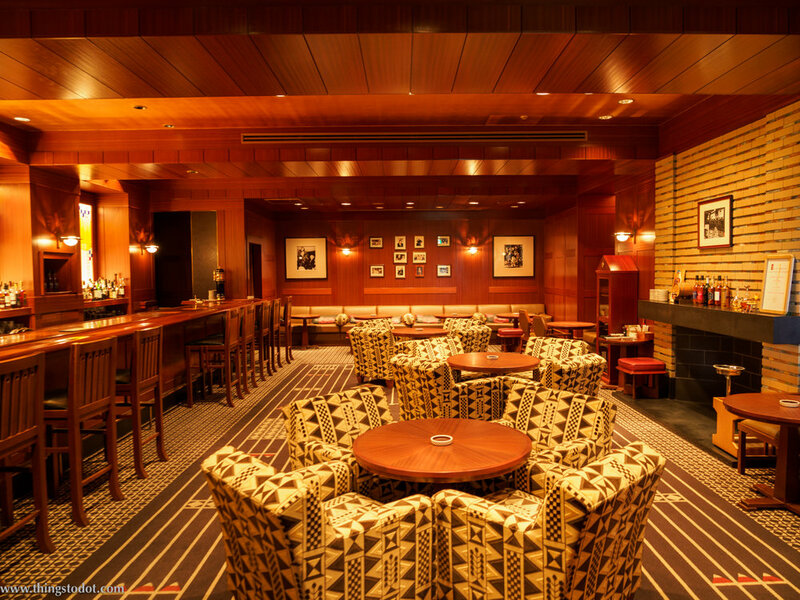 The Imperial Hotel, Osaka, pays homage to the architect by incorporating his motifs throughout the interior design of the Old Imperial Bar. Cafe Couvert, Imperial Hotel, Osaka, Japan. Photo: Kosuke Arakawa. Image©www.thingstodot.com. Sweets Buffet, The Park, Imperial Hotel, Osaka, Japan. Photo: Kosuke Arakawa. Image©www.thingstodot.com. Old Imperial Bar, Imperial Hotel, Osaka, Japan. Photo: Kosuke Arakawa. Image©www.thingstodot.com. During my stay, I was lucky to get a tour of the different rooms and facilities of the hotel. The 400 sq. meter Sakura Suite that comes with a huge living room is reserved for VIPs and diplomats. It offers splendid views of the Osaka river against the city's skyline. During the summer fireworks festivals, fireworks can be seen from the comfort of the suite. Sakura Suite, Imperial Hotel, Osaka, Japan. Photo: Gunjan Virk. Image©www.thingstodot.com. The Park Suite is smaller than the Sakura Suite but still quite spacious with a separate living room and breathtaking views of the river and the city. Park Suite, Imperial Hotel, Osaka, Japan. Photo: Gunjan Virk. Image©www.thingstodot.com. 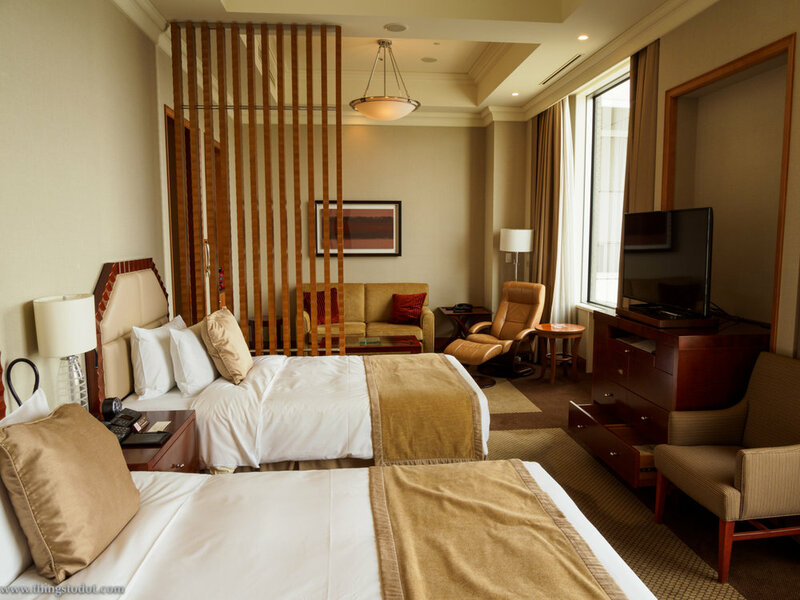 The Junior Suite is also quite lavishly appointed and so are the Deluxe rooms with grand views either of the city or both the river and the city. A made to order Snoopy Room can be prepared on request with everything Snoopy in the room, from coffee mugs to hair dryer and even carpets and bed linen! 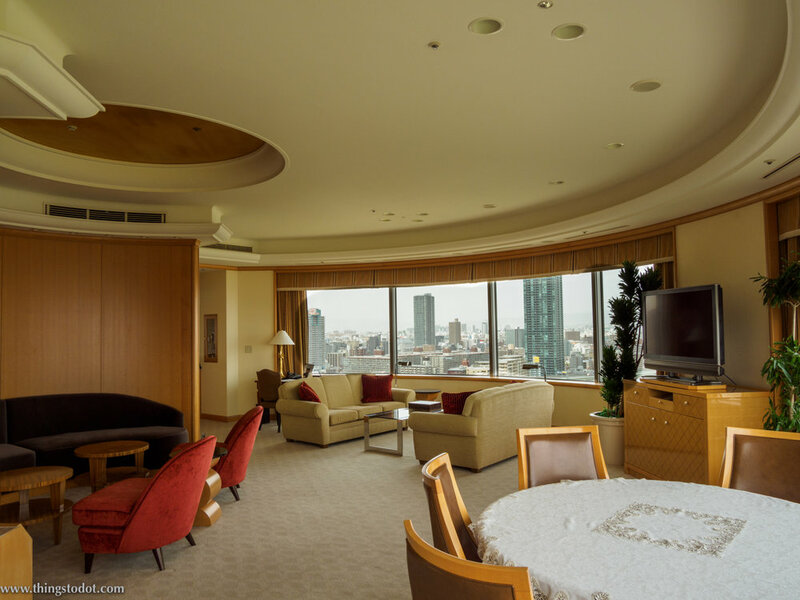 Junior Suite, Park Suite, Imperial Hotel, Osaka, Japan. Photo: Gunjan Virk. Image©www.thingstodot.com. Deluxe Room, Imperial Hotel, Osaka, Japan. Photo: Gunjan Virk. Image©www.thingstodot.com. 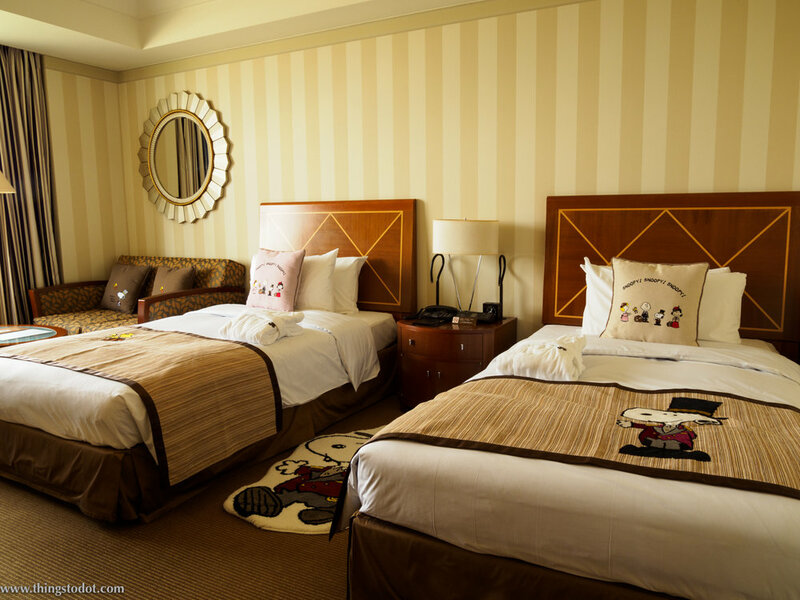 Snoopy Room, Imperial Hotel, Osaka, Japan. Photo: Gunjan Virk. Image©www.thingstodot.com. The hotel also hosts wedding ceremonies and has a Japanese style chapel and a more western style chapel for church weddings. Japanese Wedding Chapel, Imperial Hotel, Osaka, Japan. Photo: Gunjan Virk. Image©www.thingstodot.com. 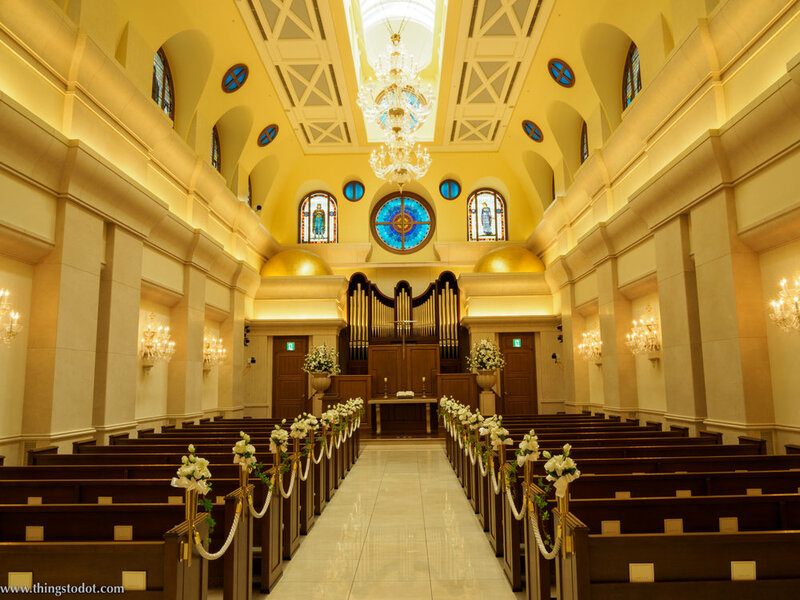 Wedding Chapel, Imperial Hotel, Osaka, Japan. Photo: Gunjan Virk. Image©www.thingstodot.com. The hotel is located on the banks of the river Okawa which is one of Japan's top cherry blossoms viewing spots. 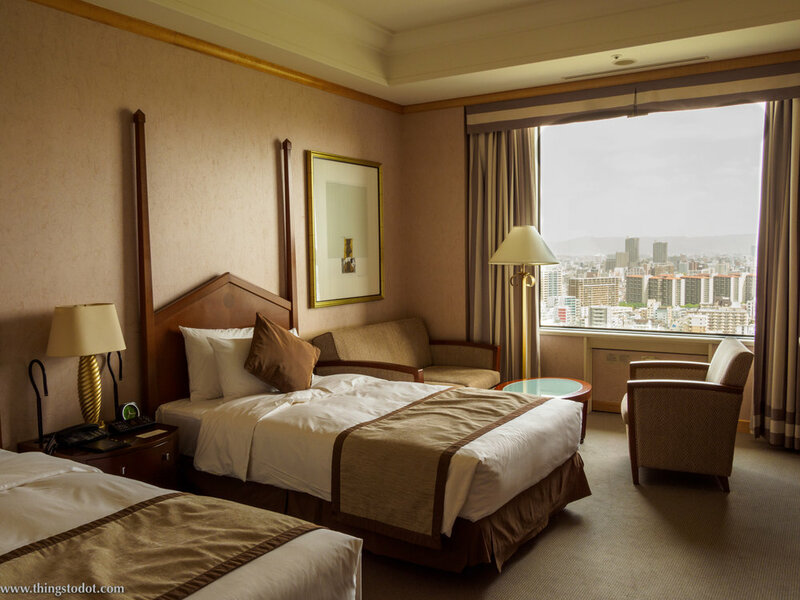 The hotel also offers a shuttle service between the hotel and the JR Osaka Station (which is different from the Shin-Osaka Station) that runs every 15 minutes from 8:00 a.m. to 9:00 p.m. It is a 15 minute ride to the station and a very convenient way of getting into town. I really enjoyed my stay at the hotel and I think it is going to be my favorite place to stay everytime I fly out from Kansai! Shuttle service, Imperial Hotel, Osaka, Japan. Photo: Gunjan Virk. Image©www.thingstodot.com.